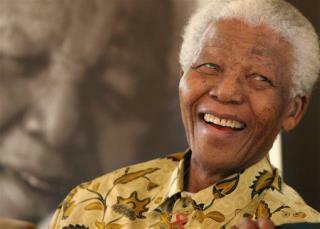 (Newser) – Nelson Mandela is dead at age 95, the president of South Africa told the world today. "Our nation has lost its greatest son," Jacob Zuma announced to his nation, as quoted by CNN. "Our people have lost a father." The anti-apartheid icon had been in failing health and spent about 3 months in the hospital with a lung infection earlier this year. "He is now resting," said Zuma. "He is now at peace." Zuma ordered all flags in the nation to be flown at half-staff. I don't know all the history of mandela personally, but at the beginning of this country many of the founding fathers were wanted for treason, and other crimes for going against old England. The founding fathers did not agree with the government and started a revolution. We don't know every act of violence committed by those men to when this country's freedom, but we consider them as we should, patriots. Peace to South Africa and mandelas family. The old geezer was 95 ! Therefore, hardly a news story. It's amazing -- yet also not surprising -- how much hatred and bigotry is being expressed here. Why do you people feel so insecure that you have to slur others just to feel good about yourselves?